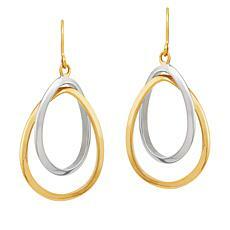 Add a touch of class to any outfit when you top it off with a pair of polished hoop earrings. 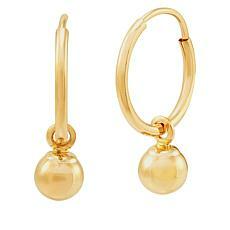 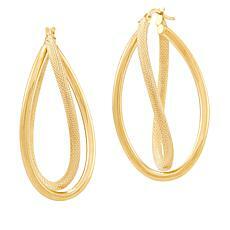 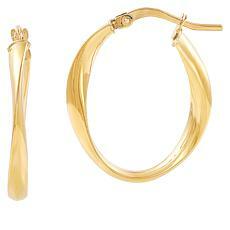 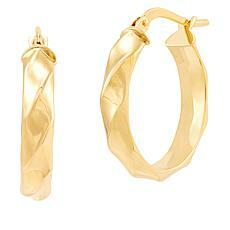 Crafted of 14K yellow gold, these ribbed hoop earrings are sophisticated and chic. 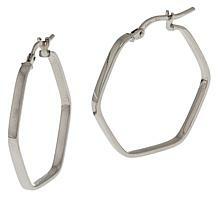 For a modern twist on a classic jewelry-box staple, check out these twisted oval hoop earrings. 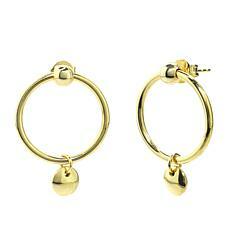 Polished 14K yellow gold hoops have just the slightest torque, for a fun, fashionable accessory that's easy to dress up or down! 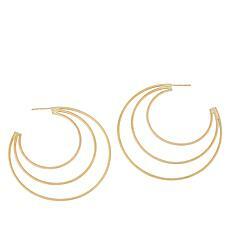 Whether you're dressing up for a night out or keeping it business casual at work, an essential pair of polished gold hoop earrings coordinates with any outfit or gold necklace. 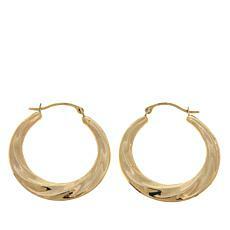 Every woman needs at least one pair of this sleek silhouette in her collection. 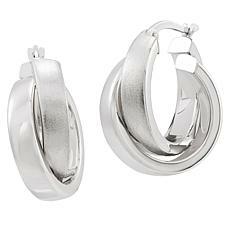 Luckily, HSN offers a variety of classic hoops from trusted brands such as Michael Anthony Jewelry and Passport to Gold. 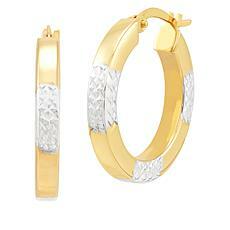 Choose from 10K or 14K gold designs based on your personal preference and budget. Simple jewelry styles are often best when you need to coordinate your entire wardrobe. 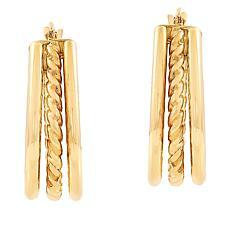 They're great for wearing with longer hairstyles, cropped locks, or updos. 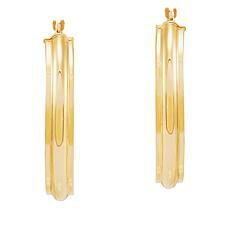 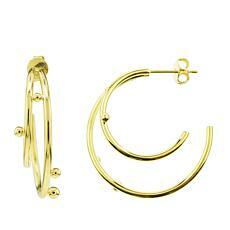 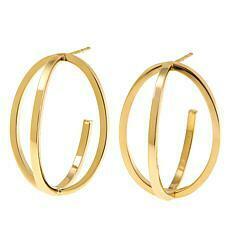 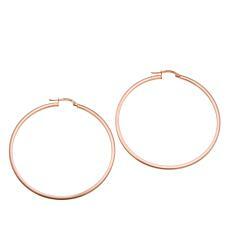 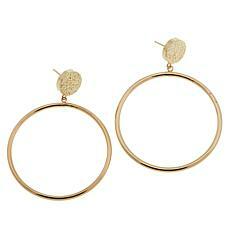 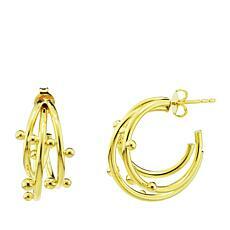 Gold hoops look equally sleek worn with a career suit or breezy boho dress. 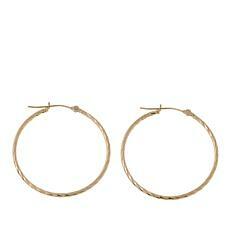 No matter your personal style, hoop earrings are a must-have essential that never goes out of style. 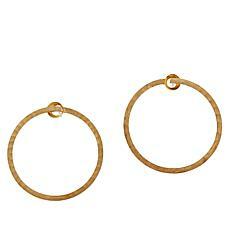 In addition to basic hoops, HSN also offers textured and multihooped designs for added interest. 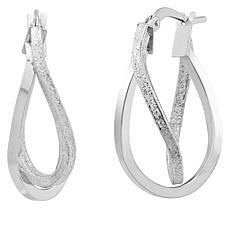 Twisted silhouettes, circle drop styles, crisscross ovals, diamond-cut finishes, and multihoop earrings offer a nice spin on the classic polished hoop. Best of all, you can stock up on a few of the latest pairs, thanks to HSN's FlexPay options, which makes expanding your jewelry collection more affordable than ever.